Mad Or Nomad? Shraddha Kapoor's Banjara Look Is As 'Ridiculously Real' As The Trailer of Stree! 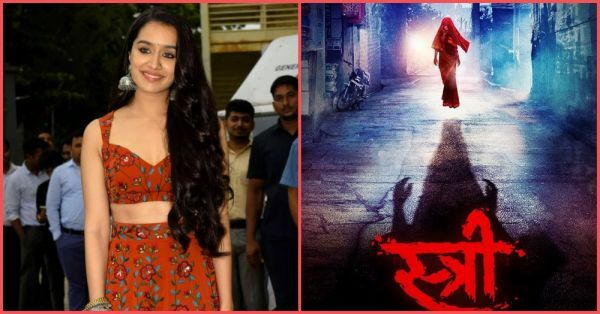 More than half the year has passed already and finally, the upcoming horror-comedy film, Stree, has answered the question we've been asking for so long - Where is Shraddha Kapoor? While the Instagrammers are still asking this question given that Shraddha Kapoor has deleted everything from her profile, this is her first film of 2018 and the trailer sure seems to be a bone-chilling (and tickling) treat for us. 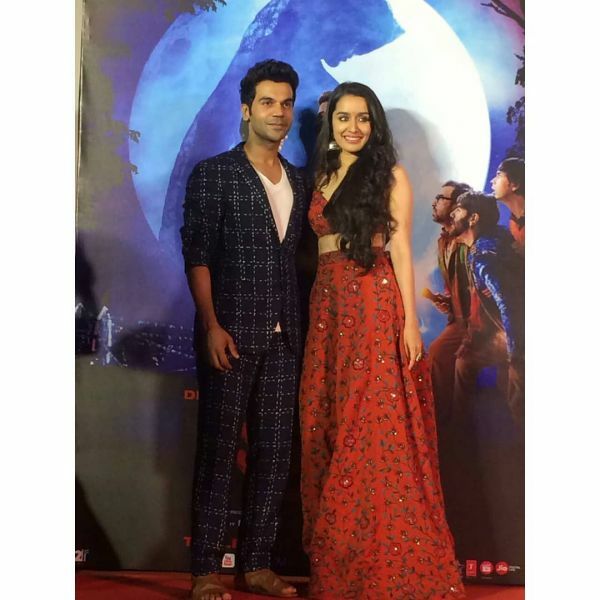 For the trailer launch of Stree, Shraddha, well to be fair her stylist, decided on a bohemian look for the actress and we can't decide if it is horrifyingly-hilarious or hilariously-horrifying, much like the trailer of the film. After styling Janhvi Kapoor for Dhadak's promotions, Tanya Ghavri has taken it upon Shraddha Kapoor to 'style' her for the promotions of Stree. She wore a printed rust lehenga with statement, I'm sorry, oversized oxidised jewellery and the whole look is just not working for this stree. Let's talk about the outfit in detail. This Nikhil Thampi couture is so pretty and has a beautiful summer vibe to it. Plus, it's just perfect for your bestie's mehendi function thanks to the delicate floral print. 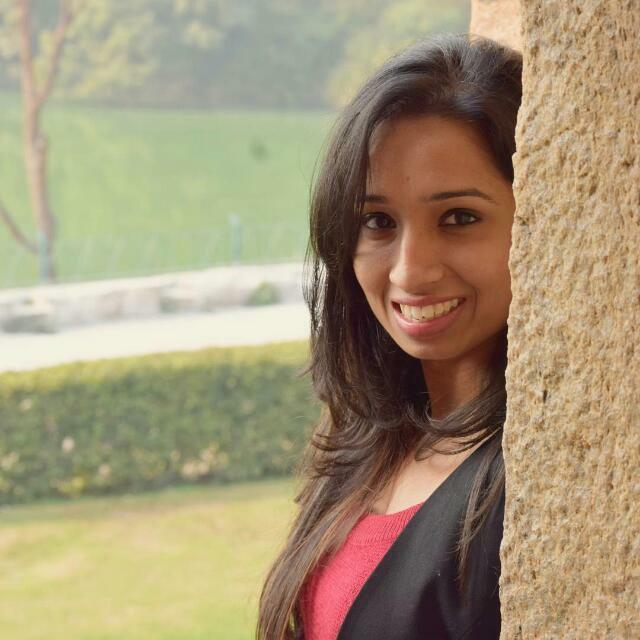 The exaggerated jhumkas, nose pin, bangles and ring are by Amrapali Jewels. As quirky as they are, they look super heavy and uncomfortable to survive the day in. Conclusion? Bring the delicate print and exaggerated jewellery together and you have got a fashion facade! 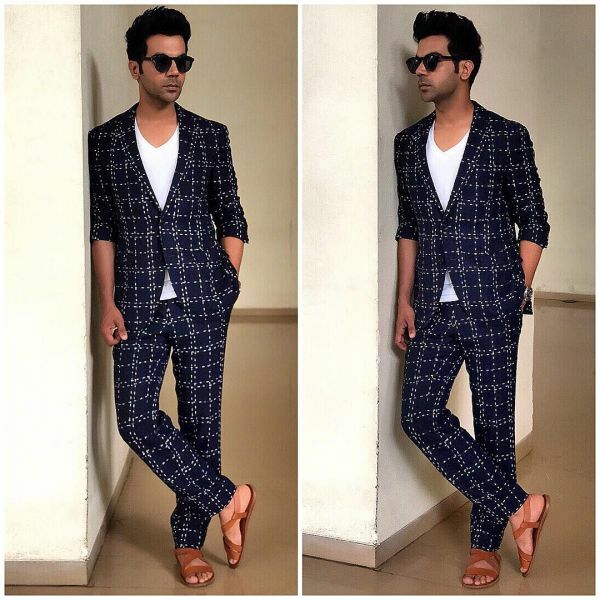 On the other hand, Rajkumar Rao looked dapper in his Hugo Boss suit. The ruched sleeves and the single-breasted collar is working well for Rajkumar's lean physique adding more structure in a stylish way. Full marks to Isha Bhansali for pairing the suit with Ferragamo sandals for a casual look. So much for our verdict. What do you think about this look? Tell us in the comment section.